Hi loves! A bit early today, but I don't think you'll mind. Yes, you read that right: not only am I showing you 2 beautiful shades from the Catrice Luxury Lacquers collection today.. this is also your chance to win a set of your own! The Catrice Luxury Lacquers is a 24 piece collection made up of 4 sections: there are 8 Million Brilliance (glitter) lacquers, 8 Sand'Sation beauties (textures), 4 Holomania polishes (holographic effect) and 4 Chameleon shades (duochromes). I have Catrice Luxury Lacquers Holomania Holo In One and Catrice Luxury Lacquers Chameleon Chromeo & Julia to show you, and also a set for you to win! 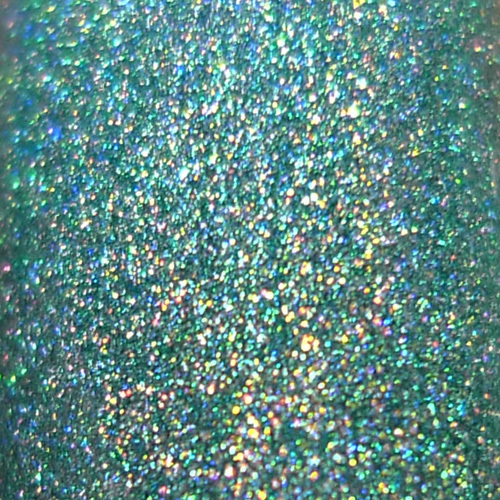 Catrice Holo In One is a gorgeous seafoam green shade with a subtle yet striking holographic effect. I am very happy that for once this drugstore brand is not confusing holographic and duochrome (it happens so often!). The formula is on the thicker side but very manageable, it almost covers in 1 coat. I did 2 to be sure. The polish levels really well and there aren't any brushstrokes or imperfections that need to be smoothed, I did use a layer of topcoat in my swatches. Catrice Chromeo & Julia is a lovely duochrome that goes from a coppery orange to pink. Because of my lighting I didn't really capture the pink in pictures, but I did spot it on my nails very easily. I thinned this one a bit after my first layer as it was really thick and a bit gooey. 4 drops of thinner worked perfectly and application was a breeze after that. It covers really nicely and though it shows brushstrokes, I can't really mind with a color like this. Do you like these as much as I do? And did you have the opportunity to score anything from this collection? Tell me in the comments! You can only enter using the Rafflecopter widget below. All rules and everything you need to know is stated in the terms and conditions. This giveaway is open internationally. Good luck! 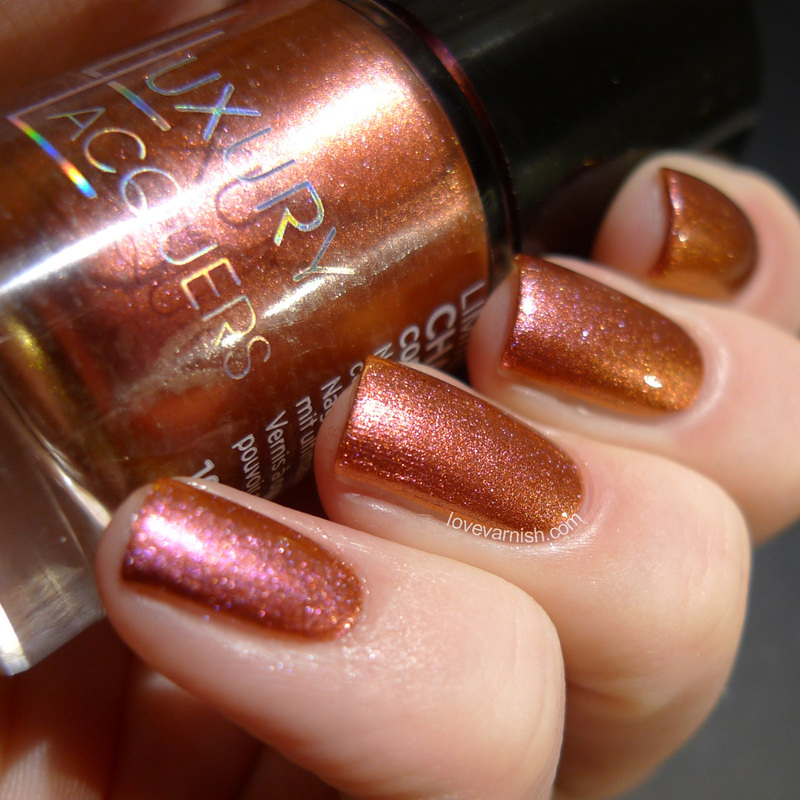 That Holo In One is sooo beautiful! I have no easy access to Catrice and always drool whenever I see any product in blogs. That makes two of us :D! Awww but you do have GREAT food ;-). Good luck! Hahaha give it a try, lol! Oh well, we can't have everything we want, right? Maybe I should come visit you once, I can enjoy the great food and bring some polish along ;). This could be a great idea, however! You are? I am not from Amsterdam actually but it would be fun to meet up :-). Holo In One is absolutely stunning! Thank you for this giveaway!